This is a two-part feature on the wines of the 2014 vintage in Hawke’s Bay in New Zealand. There’s a link to part II at the bottom of the page, covering red wines. It was probably around six or seven years ago that I first became aware of a refreshing new style of Australian and New Zealand Chardonnay. For several years before that the wines had already begun to slim down, being made in a less oaky, less ripe and tropical-fruited style, picked a little earlier to retain freshness. But this was something new: the wines had the distinct whiff of flint or gunsmoke, a character most often identified with the great wines of Chablis. In Chablis the aroma – and a stony, firm minerality in the mouth – was said to come from their cool, northern French climate and, most importantly, the very specific Kimmeridgian soils of the top vineyards. 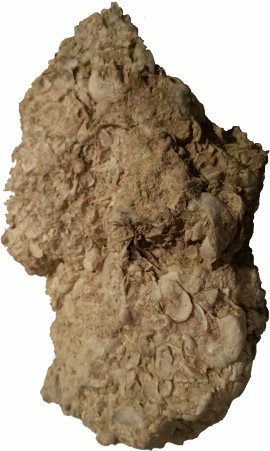 It was these soils, limestone with a top layer rich in fossils of oyster and other sea-shells, that were cited as giving the best 1er Cru and Grand Cru Chablis their ‘flinty’ character. Given that the vineyards of the Adelaide Hills or Central Otago are not not planted on Kimmeridgian soils, something else was at play here, in what was obviously a very deliberate direction for a growing number of Australasian estates. The answer lay not in the vineyards, but in the winemaking. Reductive winemaking seeks to exclude oxygen during the process and can be responsible for these notes, which winemakers refer to as ‘complex sulphide’ characters. Cool fermentation with as little exposure to oxygen as possible, not stirring the lees, not transferring between barrels, perhaps using a touch more SO2, all contribute to the flinty, even struck-match notes that, in moderation, can be very appealing. The fashion for this style certainly seems to have grabbed most, if not all of New Zealand and Australia’s top Chardonnay producers – it’s even cropping up in other varietal wines, such as the Yalumba Eden Valley Viognier that was a recent Wine of the Week for me here on wine-pages. But the big question is, has it gone too far? Reductive techniques often go hand in hand with picking grapes early, avoiding malolactic fermentation, and using very little oak. That whole recipe makes for wines that are positively lean, sometimes with a lemony bite that is almost aggressive. Though the style can be invigorating, I am sometimes left wondering “where’s the fruit?” if taken too far, or if tasting too many examples of the style bunched together. It remains to be seen how this will all pan out. Some claim that it was the ‘prem-ox’ problem in Burgundy, where wines in bottle suffered from premature oxidation, that led to the reductive movement, both in Burgundy and around the world. So if it is part defensive move, part stylistic decision, then possibly a happy middle ground will be found eventually. Great examples of this style remain some of my favourite Chardonnays, but I sometimes hanker after one of the big, generous, buttery golden Chardonnays of old. Those are now very, very hard to find. These wines were sent to me direct from Hawke’s Bay by the winegrowers association there. This is their 2014 vintage collection, showing four Chardonnays and eight red wines – an article on which will follow. Chardonnay for white wines, and either Syrah or Bordeaux blends for red wines, are Hawke’s Bay’s ‘hero’ varieties and styles. The 2014 vintage in Hawke’s Bay was both early, beginning with the Chardonnays in the first few days of March, and harvest of red varieties beginning in the last week of March. Low rainfall and a nice balance of moderate and hot weather spells made for an “excellent” vintage, with Te Mata Estate recording some of the highest ever heat summation figures (a method of calculating ‘degree days’ of ripening temperature in a growing season) in their iconic Bullnose vineyard. All four of these wines showed some of the reductive character in their aromatic profile, though I have to say that generally these were well-handled, and the ripe condition of the 2014 vintage certainly means there was no lack of fruit to set against the reductive notes. (2018) Pouring a pale gold colour, this creamy and nutty Chardonnay shows plenty of complex sulphide character too, with flint and cordite as well as nutty apple fruit. Wild yeast ferment and 11 months in barrel gives good complexity, and the palate follows with a powerful concentration of orchard fruit, wreathed in smokiness and toast. A touch too much obvious oak perhaps, but there's a lot going on and a lot to like. No UK stockist at time of writing. (2017) A lovely organic (and biodynamic) Chardonnay from film-maker Michael Seresin's Marlborough estate, the high quality French oak perhaps a trifle obvious on the nose for some, but I enjoyed its nutty, buttery sense of opulence because the tangy lime and crunchy, vivid red apple fruit more than matches on the palate, with that salty mineral edge adding another layer of complexity, the broad texture sliced through by the tensioning acidity. A long, poised Chardonnay in a classic, quite Burgundian mould. Tom, like you I sometimes need a fix of the old style chardys – where are they? Tom, try also the Planeta chardonnay, which retains that lush buttery warmth. I started out on buttery chardonnays; I remember buying lots of big chardonnays from Oddbins in Glasgow, on the hunt for that big hit! Good shout Ray – a while since I drank it but, yes, definitely in the golden style. There will be others I’m sure, but they just seem pretty few and far between these days. Great article Tom, that’s an interesting view on this style of wine making and some examples to look out for – thanks. Many thanks Chris, and so pleased you found it useful. 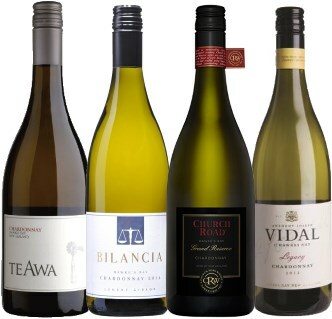 Some of the Hawkes Bay Chardonnays from people like Craggy Range, Vidal and Villa Maria are fairly well distributed, others might need a bit of hunting down in the UK. Indeed! Two lovely wines Duncan. Lovely to live in Hawkes Bay and have these fabulous Chardonnays readily available. Yes! We do see a few, but pretty hard to track down the top wines of the top estates.